Below are the discounted services available exclusively to A Writer’s Path Writers Club members. The discounts won’t work without the promo codes given to all Writers Club members. To check out more information about joining the Writers Club and accessing the promo codes for the discounts, click here. Jeff Brown Graphics: 10% on your first purchase up to $500. If the purchase is more than $500, it will be $50 off. Absolute Covers Studio: 20% off custom book cover design. Aidana WillowRaven: Cover Designer, Illustrator, and Designer: 20% off original (not custom) cover artwork and design services (e.g. title treatments, brand logos, and block formatting). Infinity Flower Publishing: 15% off book cover design, editing (content, copy, proofreading), advertising, and typesetting. The Book Review Directory: $10 off all Editorial Reviews (any book length). Shalamar: 25% off editing, proofreading, topic research, eBook formatting, interior design, and advertising. Liam J Cross Writing and Editing: 15% off all services, from ghostwriting to editing to social media marketing. Write Plan: 10% discount on content (developmental) editing services, copyediting services, and proofreading services for manuscripts only. Michael Mohr: Book Editor & Professional Writer: 10% discount on his 2 cents/word development book editing set rate, regarding literary novels, YA, action/thriller/suspense, and memoir books. Also 10% off line editing, MS evaluations, and help with query letters/synopses to agents. Emily Nemchick Editing and Proofreading Services: 10% off her copy editing and proofreading package. Laura Lee Anderson – Editing Services: 10% off any one of her editing services. Victoria Griffin Editing Services: 10% off any service up to $1,000 in value and 10% off any of her online courses (Edit Like a Pro and The Query Course). There For You Editing: 10% off all editing services. Lopt & Cropt Editing: 10% discount on any editing services/packages. Silvia’s Reading Corner: 10% off any editing service. Brittany Goss – Freelance Writer and Editor: 10% off developmental book editing services. Owl Editing: 10% off all services: developmental edit, critique, line edit, first chapter critique, query critique, novel plotting package, or problem spot package. Cori Wamsley Writing Services: 10% off copyediting or developmental editing services. Write Dream Repeat: 10% discount applied to: Pretty Penny Template Design & Typesetting, Silver Dime Template Design & Typesetting, and Gold Dollar Custom Design & Typesetting. 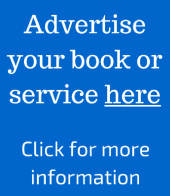 A Writer’s Path sidebar advertising services: 10% off any sidebar advertisement (for any length of time or number of books or websites). Karen Commins – Audiobook Narrator and Voiceover Artist: 10% off her finished hourly rate for turnkey, complete audiobook production to create a retail-ready audiobook. This rate includes her narration fee, her director, and her editor/proofer who edits, proofs, corrects, and masters the final audiobook recording so that it’s ready for upload to ACX.com or other distributors. Roth Notions eBook Proofreading and Line Editing Service: 50% off blurb writing services. Bluprint Studios: 15% off Brand Development, Poster Design, Apparel Design, and/or Advertisement Design. MRW Creations: 10% off logo design. Absolute Covers Studio: 20% off website graphic design and logo design. MRW Creations: 7% off website creation. Jar O’ Marbles: 15% off hourly rate (normally $25.00/hr) for book research. If you’re a service provider and would like to have your writing-related service listed, contact me here. Anytime you use a service provider, research is important in finding the best fit from a qualified vendor. Initiating business from a service provider on this list doesn’t mean that you shouldn’t do your own due research. See our disclaimer for more information.